Sulzer acknowledges that the U.S. Department of the Treasury's Office of Foreign Assets Control has identified Mr. V. Vekselberg and Renova Group, Moscow, as specially designated nationals pursuant to US sanctions rules effective on April 6, 2018. The company has entered into a binding agreement with Renova on Sunday, April 8, 2018, to minimize disruptions to Sulzer’s business, whereby Renova transfers the ownership to Sulzer of five million Sulzer shares. After completion, Renova will be a 48.83% shareholder of Sulzer. All Renova representative Board members abstained from the decision on this related party transaction. The share transfer is planned to occur in the course of this week. 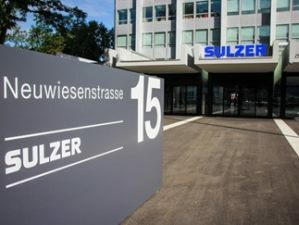 Sulzer will purchase the shares at the volume-weighted average share price of the Sulzer shares as quoted on the SIX Swiss Exchange for the period from April 9, 2018 to (and including) April 13, 2018. The purchase price agreed with Renova will be reduced correspondingly if Sulzer, at a later date, sells all or part of the shares from the transaction at a lower price. Cash proceeds relating to the purchase of shares will be transmitted to the seller only when Sulzer has obtained legal confirmation that such transmission does not expose Sulzer to the risk of primary or secondary sanctions. Sulzer is in close contact with authorities and believes that this transaction will assuage any concern as to the independence of Sulzer from the Renova Group.